CHICAGO, IL, 4/17/14 – THE MISSION is pleased to present Vibrations, an exhibition of new paintings by Argentine artist Natalia Cacchiarelli. 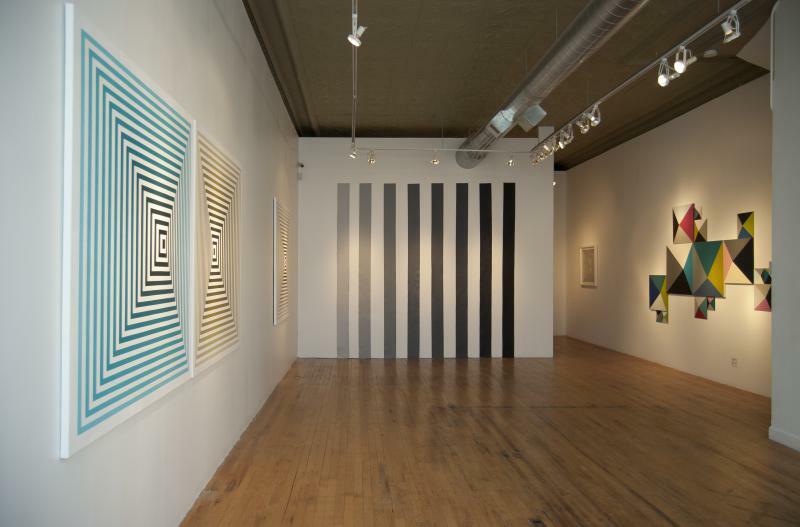 In her first solo exhibition in the United States, Cacchiarelli presents three new series of geometric abstractions that investigate color, perception, and the very nature of painting itself. An opening reception will be held on Friday, May 2 from 6 to 8pm. The show continues through Saturday, June 14, 2014. Cacchiarelli’s work radiates the simultaneous appearance of instability and perfection. The Vértigo series – a succession of concentric squares and gradients – arranges meticulous stripes into pulsating, hypnotic grids that challenge perception and appear to become three-dimensional. 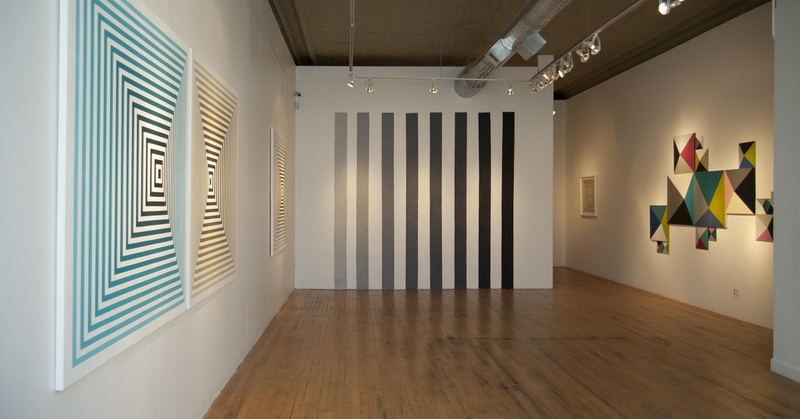 On an adjacent wall, the artist presents Degradé, a series of long, vertical strips of canvas painted in neutral tones that stretch to the floor and are systematically installed at regular intervals of measurement. 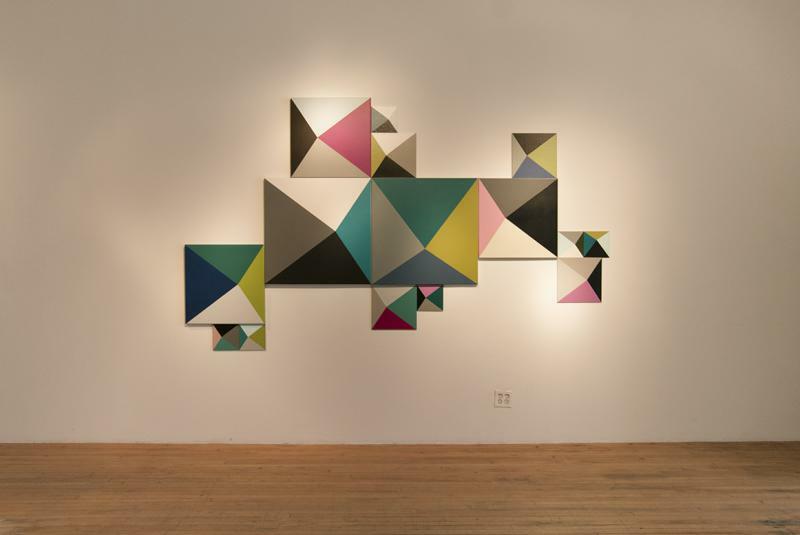 The third series, Triángulos, is an installation of individual paintings of various sizes, arranged on the wall in the manner of a puzzle. 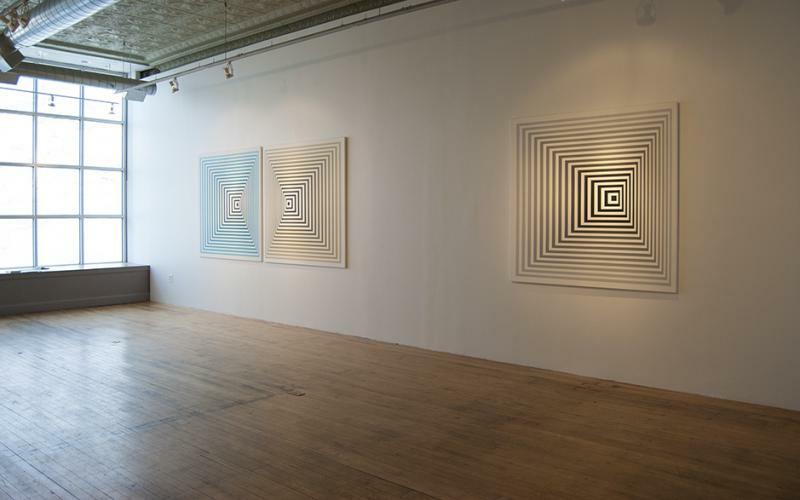 Each canvas consists of four triangular sections of varying hues that both coexist and confront each other, producing calm and harmonious tension. Essays by Argentine curator Lara Marmor and Argentine art critic and journalist, Victoria Verlichak will accompany the exhibition. An exhibition brochure will also be available.